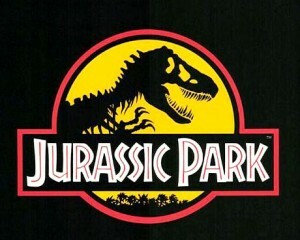 Steven Spielberg’s dino epic ‘Jurassic Park is set to be re-released in theatres July 19th, 2013. This time, in 3D. ‘Jurassic Park was originally released back in 1993 and grossed over $915 million worldwide. Dollars to donuts, with this 3D release, ‘Jurassic Park’ will will surpass the $1 billion dollar mark. Since there is more than a year till it is re-released, I wonder if Spielberg is going back and updating some of the special FX. Not necessarily meaning he will change or add anything new, but just update the already existing FX. I’m sure something will change, and we will be the first to update you if anything happens. I remember when ‘Jurassic Park’ was released back in 1993. Back when movie theatres didn’t have stadium seating, back before digital ticket kiosks, and before the internet really. I was in complete awe of all that is ‘Jurassic Park’. I saw the movie with my dad a record 11 times in the theatre. I got toys, shirts, and went to the Jurassic Park tour that showed the prop dinosaurs and props from the film. I was completely taken away the entire film. I just hope Spielberg doesn’t do anything to drastic with it. But I look forward to the summer of the dinosaurs once again. Spielberg’s ‘Jurassic Park’ Headed To The Theaters Again, This Time In 3D!! This entry was posted on Thursday, March 15th, 2012 at 11:10 pm	and is filed under Film, News. You can follow any responses to this entry through the RSS 2.0 feed. You can skip to the end and leave a response. Pinging is currently not allowed. « Check Out Johnny Depp in Tim Burton’s ‘Dark Shadows’!! !